GO Fresno's Family Leadership Fellowship is a 10 week program designed to help parents build upon their advocacy skills. The Family Leadership Fellowship program begins in September 2018 and meets for two hours once per week. All meetings take place at the GO Fresno office (2210 San Joaquín Street, Fresno, CA, 93721). Food, translation, and childcare for potty-trained children will be provided (volunteers welcomed). 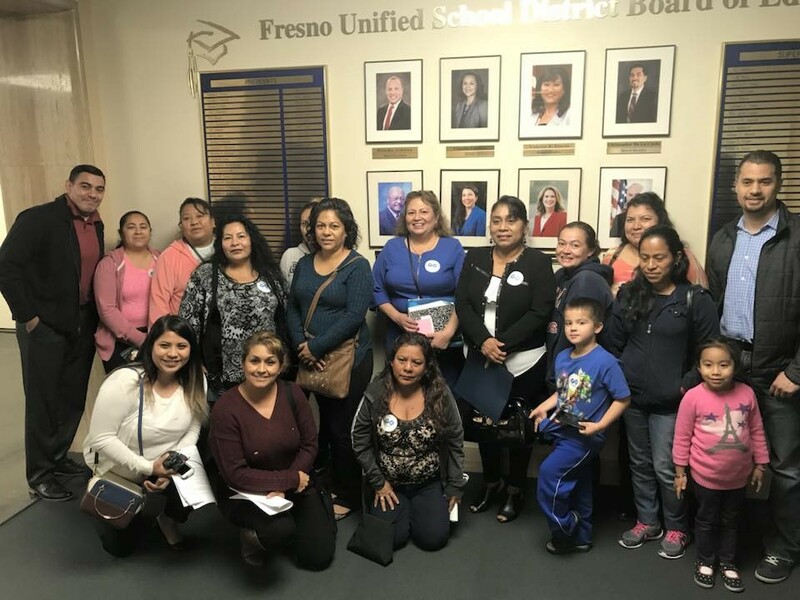 The fellowship is designed for parents and caregivers of students that attend schools served by Fresno Unified School District (traditional public and charter schools) that wish to grow leadership skills so that they can advocate for improved schools on behalf of all children and bold change at a systems level. LEARN. Participants take part in weekly development sessions to build skills, mindsets and k-12 knowledge to be a parent advocate and leader. LEAD. Participants will engage in real-world experiences – including having one on one conversations with other parents, co-hosting visioning sessions with other parents and attending school board meetings – allowing them to practice and reflect on their own development as leaders in activating other parents who are ready for change. ACT. Participants will help shape and drive GO Fresno’s Choosing Our Future 2.0 vision for bold new FUSD schools, and provide a platform to inform and empower other parents and decision-makers to create real change. Check out our 2017 Family Leadership Fellowship graduates! Please give us a call! We’d love to learn more about you and your experiences with our public schools.